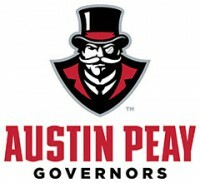 July 19, 2018 Archives - Clarksville Sports Network - Clarksville Tennessee's most trusted source for sports, including Austin Peay State University. Nashville, TN – The Nashville Sounds used a four-run sixth inning to top the Omaha Storm Chasers, 4-2, in front of 9,639 fans at First Tennessee Park Thursday night. Trailing 2-0 going into the bottom of the sixth inning, Nashville sent nine hitters to the plate in the comeback. The one-out rally started when Beau Taylor walked, and Anthony Garcia doubled down the left field line. 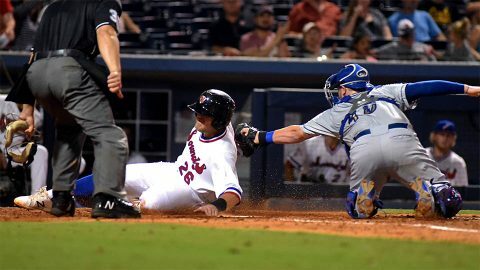 Bruce Maxwell’s second hit of the game made it a 2-1 game and Sheldon Neuse delivered another run-scoring single to draw the Sounds even at 2-2. BJ Boyd followed with a base hit, the fifth straight Sound to reach safely. Cleveland, TN – Austin Peay State University’s assistant athletics director for business affairs Brandi Bryant has been named second vice president of the College Athletic Business Management Association (CABMA) for the 2018-19 year. 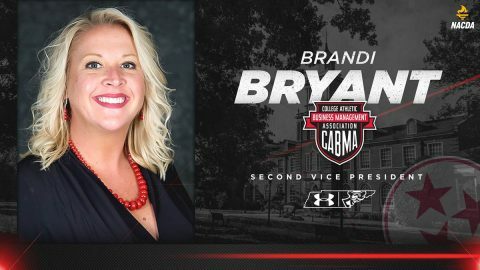 Bryant, who is in her fourth season with Austin Peay athletics, was elevated to assistant athletics director in July 2016 with responsibility for the athletics budget and financial oversight of the department’s ongoing capital projects. During her nearly four year career with Governors athletics, she has helped facilitate and oversee significant budget increases within the department. Clarksville, TN – Austin Peay State University (APSU) Women’s Basketball head coach David Midlick has added a new member to his coaching staff with the arrival of Alexis Pace, previously an assistant at South Carolina State. 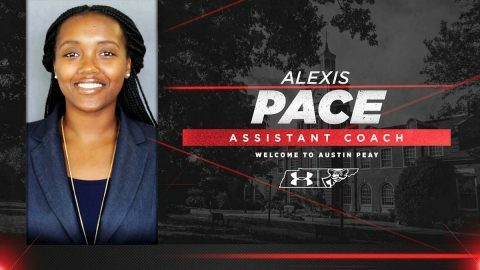 Pace joined South Carolina State in 2015 and was a three-year assistant and recruiting coordinator for the Mid-Eastern Athletic Conference squad under the direction of Doug Robertson Jr.